The jury's still out on just how the New York City Taxi and Limousine Commission (TLC) is going to handle increased demand in Brooklyn for those wonderful cruising yellow medallion cabs that are so easy to flag in Manhattan. But one thing's for sure: cabs are in demand in Brooklyn. 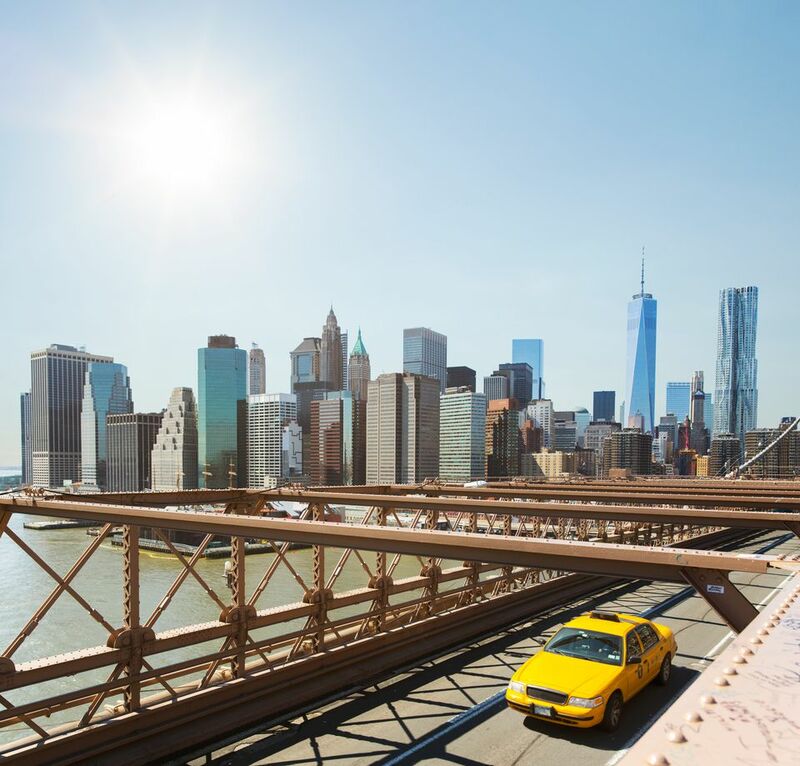 If you use yellow taxis to get around the New York's five boroughs, within Brooklyn, or from Manhattan to Brooklyn, here are seven "dos and don'ts" to smooth your journey. DO help your cabbie get to your Brooklyn destination. Cab drivers must know how to get to any destination in New York City, including Bushwick or Flatlands in Brooklyn, right? Wrong. According to TLC, yellow cab drivers are supposed to “know” Manhattan, be “familiar” with "major destinations" in Brooklyn (no, this does not include your boyfriend's mother's house in Bensonhurst), and have a map. Taxi drivers are not permitted to refuse you service just because they don’t know where they are going in, say, Brooklyn. DON'T assume a cabbie has GPS. GPS is, surprisingly, not mandatory. TLC rules require drivers "to know the lay of the land," a curiously archaic-sounding requirement that reinforces the notion that the outer boroughs are high desert, which only an awesome cowboy could navigate. DO complain if your cabbie is talking on a cell phone: Everyone's had the experience of a cabbie yammering away while making terrifying lane changes at supersonic speeds. Is this OK? TLC states that cabbies are not supposed to use cell phones—including a hands-free unit—while operating the cab. DON'T forget the car seat for your child. For instance, if you're traveling with your younger kids in a taxi, you should bring your own car seats. Taxi drivers must let you install the seats, but it's up to you, not the cabbie, to make sure your children are buckled. DON'T take no for an answer when you request multiple stops. There are four of us going to four different destinations. Must a cabbie take us? Yes! Drivers are not permitted to refuse passengers with more than one stop, according to the TLC. So if it makes sense financially to share a cab to Brooklyn with some pals, but everyone is going to a different address, the cabbie must take you. If not, call 311. Don't car stuff an NYC cab. You can't really fit 41 people in a taxi, recorded in at least one Guinness Book of World Records for car stuffing. But how many people can you squeeze into a yellow cab going to Brooklyn? Don't expect to stuff more than four or five passengers, and that depends not on whether they are super skinny, but on the number of seats in the taxi. Note: If you have a child under 7 who fits on another passenger's lap, he or she can squeeze in, too. Can a passenger sit in the front seat of the cab if there's no room in the back? Yes, but you are supposed to sit in the back unless there's no room. DO tell your local NYC elected official to revisit the Talking Taxi. Retro fun! Whatever happened to those great tapes of Elmo and Brooklyn celebs such as Chris Rock and Yo-Yo Ma from the Talking Taxi years? Having some celeb remind you to buckle up was more fun than the current dreary stale old news in the cabs. If you'd rather have retro Elmo, write the mayor, start a petition online, and revive the Talking Taxi features of yesteryear!